Westcountry folk singer, songwriter and multi-instrumentalist Seth’s eighth studio album Ballads of the Broken Few is a stunning combination of his dynamic song writing and playing, produced by Ethan Johns (Ryan Adams, Kings of Leon, Laura Marling) and the sublime harmony vocals of emerging young female trio Wildwood Kin. Seth’s soaring vocals are perfectly complimented by the seamless harmonies of Wildwood Kin – two sisters (Emillie and Beth Key) and their cousin (Meghann Loney), also from Devon. When Seth met them at a local charity gig, he was immediately struck by their effortless ability to create intuitive harmonies. Continuing Seth’s unique vision for recording in inspiring locations – previous albums have been recorded in a church and a copper mine – the eleven tracks for ‘Ballads of the Broken Few’ were cut in the Great Hall of a Jacobean Manor House and they shine with the atmosphere of that setting. There is Seth’s trademark stomp, his swooping, sighing and aching fiddle and viola, and strident electric tenor guitar. 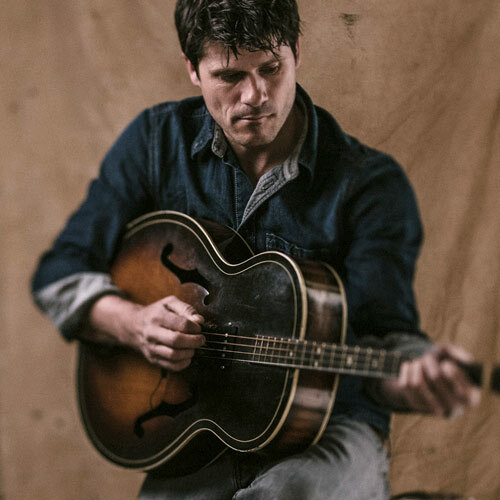 Since the Mercury Prize nominated “Kitty Jay” (recorded in his kitchen for £300), the follow-up gold selling “Freedom Fields” and his last, highly acclaimed offering, “Word of Mouth“, a deft collection of mini musical biographies of colourful West Country characters, Seth Lakeman has relentlessly pushed his musical boundaries and those of folk and roots music. With “Ballads of the Broken Few” Seth demonstrates yet again that, far from being complacent, he is constantly exploring new and bold musical paths. His new album is out now on Cooking Vinyl. Seth will play a few select solo shows in 2017 playing songs from the new album and other live favourites from his back catalogue.